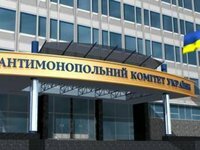 The Antimonopoly Committee of Ukraine (AMC) has allowed Brociti Investments Ltd owned by ex-Minister of Ecology and Natural Resources Mykola Zlochevsky to concentrate more than 50% of the shares in Cypriot Diloretio Holdings Ltd, which owns Technocomservice LLC and Systemoilengineering (both based in Kyiv). Technocomservice was previously selected by Nadra Ukrainy as an investor in the geological study of Tunevska zone, Systemoilengineering was engaged in production of hydrocarbons on Vodianivska deposit in Kharkiv region. As reported, with reference to the AMC, Brociti Investments Ltd is part of Burisma Group, whose ultimate beneficiary is Mykola Zlochevsky.